The great rarities of the British Gold Sovereign Series often emerge under unlikely circumstances, and are regularly underpinned by an unusual, interesting heritage. Immensely rare and highly sought after worldwide, the 1859 ‘Ansell’ Gold Sovereign is no exception to the rule. After years of conflict and millions of lives lost, war was finally over. It was the eleventh hour, of the eleventh day, of the eleventh month – 11/11/1918 – when the guns finally fell silent over the Western Front. With the ceasefire came a resounding quiet, and for those left, a void filled by memories, many too painful to vanquish. But at long last, war – the First Great War – had ended. It was a moment of inspiration. When Australian Brigadier General William Grant called upon the Australian Light Horsemen to draw their bayonets and launch a cavalry charge at the Turkish defenders of Beersheba, it would result in an overwhelming Allied victory – and one of the most iconic moments in Australian military history. Downies is proud to congratulate Ken Downie for receiving the Lord Mayor’s Commendation this year! Southbank Local News has written a lovely article on the event. This golden oldie made its first big public outing since the 1930s - and fans were keen to get on the bandwagon. There are plenty of bells and whistles you’ll want to check out when you get your hands on the RBA’s brand-new $10 note. Chances are, you’ve heard the news. The Reserve Bank of Australia’s brand-new $10 Polymer Note is here, armed with a suite of new design, security and even tactile features to elevate the humble ‘tenner’ to a whole new level. Think forgery has been the ruin of Australian currency? Think again. Currency forgers often make headlines. After all, if you’re creating headaches for the Government, baffling law enforcement personnel and placing the national economy in jeopardy – among other things! – you might become infamous, but you’ll likely never be seen in a positive light. Forgery is bad for Australia. It’s a black-and-white issue. 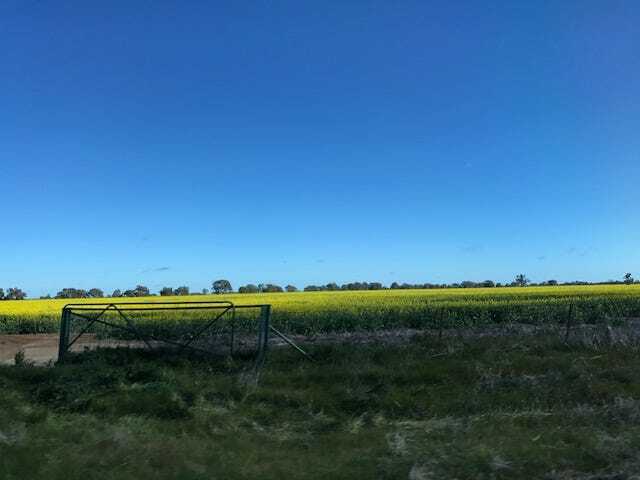 Day 8: From Moama to the finish line! 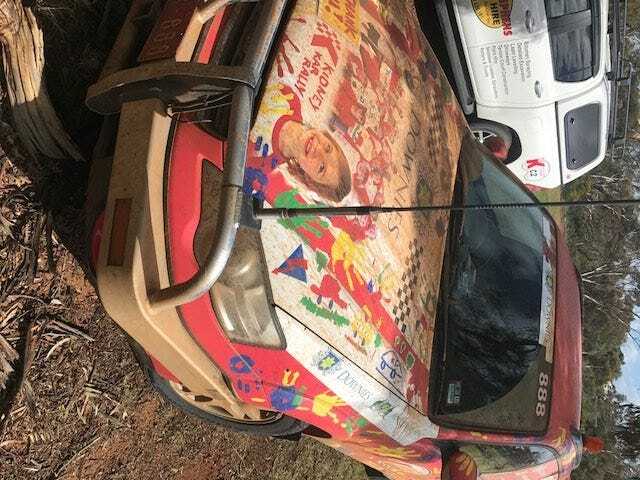 Editor’s note: Kath Downie shares more of her 2017 Kidney Kar Rally adventures in her blog post below! After having the two afternoon stages cancelled on Friday, we faced the same bad news for the first two stages on Saturday. 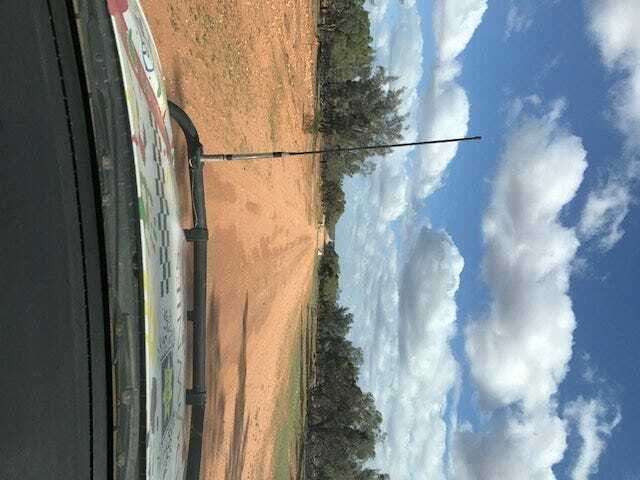 So we took off from Moama and travelled to Urana School for lunch before completing the final two stages of this year's rally. So after the pics of the canola yesterday, we hit some serious forest tracks - well, some might call them tracks but many were barely visible!!! It was a tough stage (class 3) with some serious focus needed by both driver and navigator from beginning to end. But we got through it (1 minute early) unscathed! 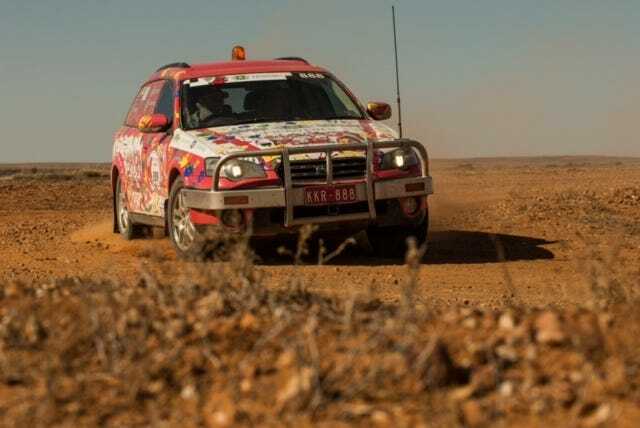 Then the final stage which, although it was a class 1, saw us venture into a couple more forest tracks before we overtook a couple of the leaders and before we knew it we were the first to cross the line at the finish! Not that this counts for anything but our time was perfect and we were greeted by a large crowd of locals and rally officials. As is normal at the end of the rally, we all gather at the finish line for a light refreshment while we cheer everyone finishing. We then convoy it into Wagga, check into our hotel and get ready for the official closing dinner. So not only did we manage being the 4th highest fundraiser for the second year in a row, we finished equal 14th for the whole rally, so we are pretty pleased with ourselves really! Congratulations to the Bathurst Surf Life Saving Club for being the outright winners of the rally and to all the competitors for their camaraderie and their fundraising for those amazing Kidney Kids - that's why we do it! Until next year...when we will be tackling Goulburn to Queanbeyan via Ballarat! 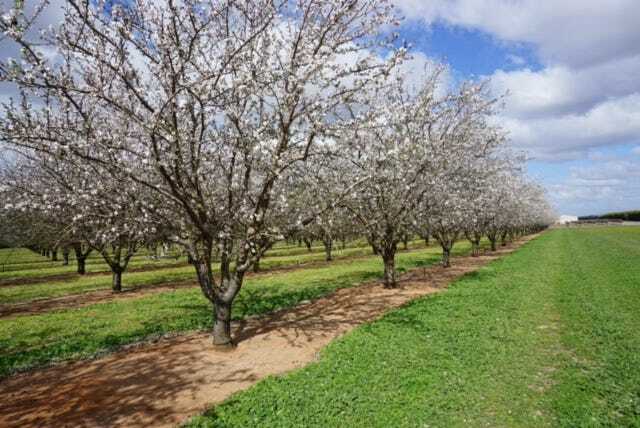 Two stages cancelled and many changes today...lunch at Ouyen primary school and then bitumen to Moama! We are on our way to Moama after completing the two stages this morning and enjoying a spectacular lunch at Ouyen College! Two class 3 stages...I can't say done and dusted as there was not so much dust but heaps of water and mud! After nearly taking out a couple of photographers who were strategically placed to get splash shots, we slipped and slid our way through lots of mud and stopped just short of a fixed camera they had placed on a bend! Soon after that we span out and ended up sideways on an embankment! Scary as hell at the time but quite funny looking back now! Needless to say poor little Subie is a little the worse for wear and in need of a good wash! The Kar is in need of a kleen! 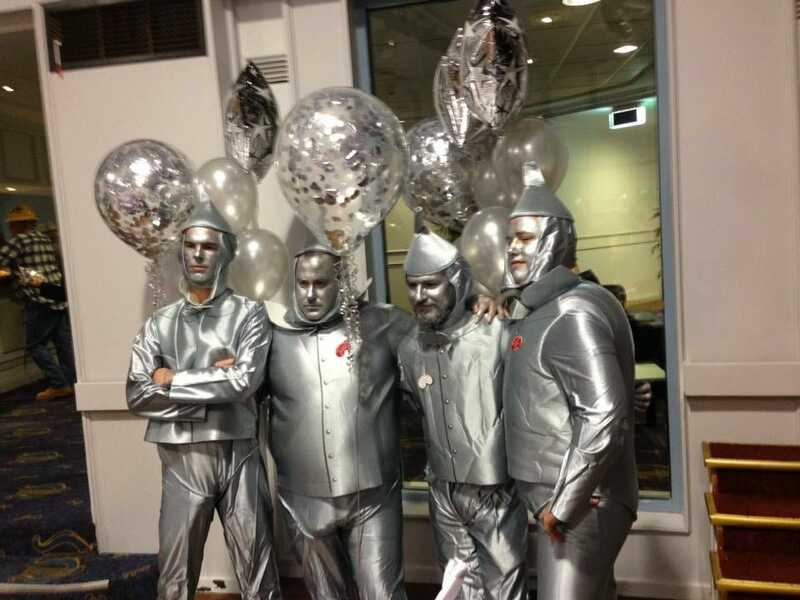 Last night's 'Silver City'-themed fancy dress event definitely delivered some very creative costumes! Congratulations to this team, for what can only be described as an outstanding commitment to the theme! 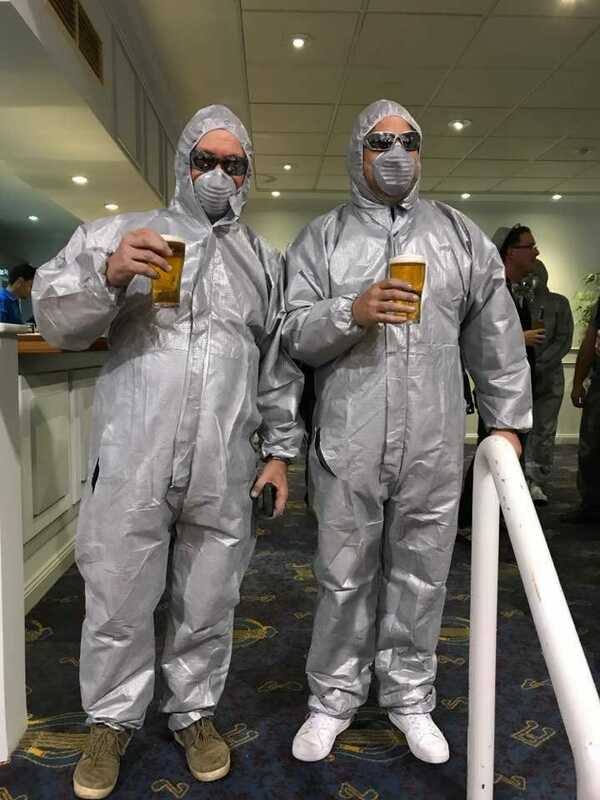 I'm not sure that Paul and Scott from Bendigo thought this outfit through - how does one drink one's beer? 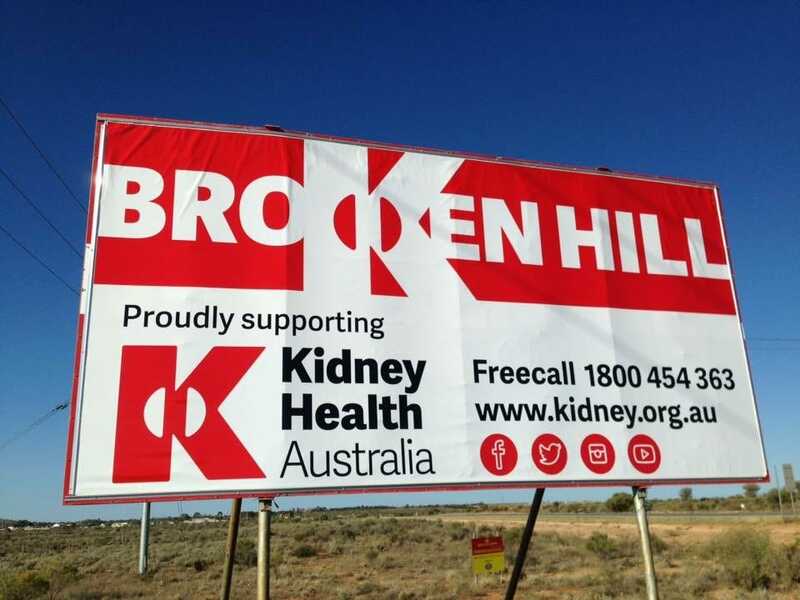 Broken Hill has been a great place to stay for the day - the whole city promotes Kidney Health! But with our rest day behind us, it was time to jump back into the car for another day of adventure. 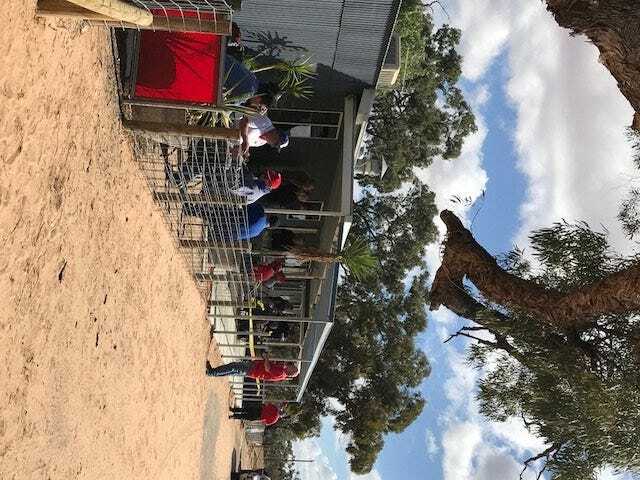 With three stages down and one to go before we arrived in Renmark for the night, we stopped for lunch at the Coombah Roadhouse. We discovered that one car was out with a fuel pump problem, and another with an injury to the side from a rogue roo! And there've also been some iconic Australian sights. 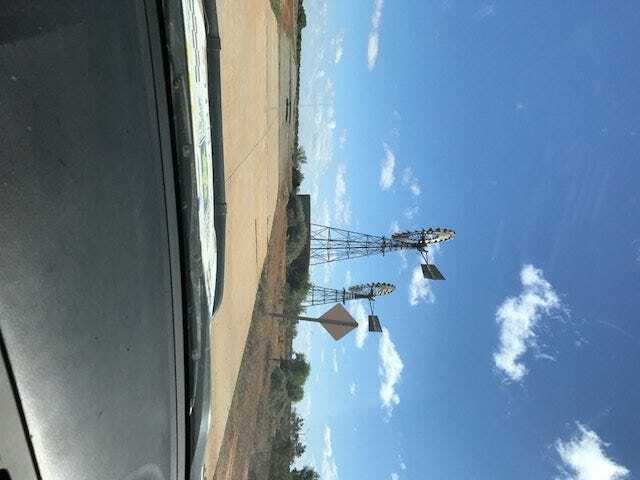 As we drew closer to Renmark, though, the contrast in our surroundings was immediately apparent. And our room in Renmark provided a terrific view of the Mighty Murray! Overall, we had thought we'd had a pretty good day, but it seems the averages were a little faster than we anticipated, particularly in the last one! 2 minutes late on the first stage, even on the second, 1 early on the third and 3 late on the last! So 6 points down for the day, plus our 4WD penalty sees us at 17th overall. We don't find out our scores tomorrow, they save them up till the final night so no-one knows where they might finish up! 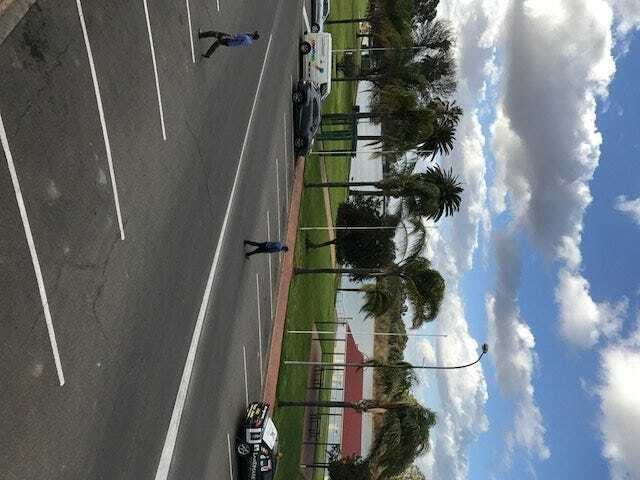 It looks like the rain has already impacted on tomorrow's stages...the 'day before car' has been out and determined the 3rd and 4th stages are too dangerous so it looks like it'll be bitumen roads from Ouyen to Moama. Oh well, maybe I'll have time for an afternoon nanna nap!! !